Founded in 2001, this small boutique-style winery specializes in Port. 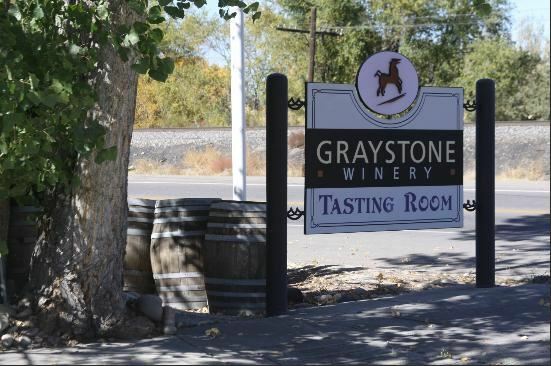 Named for the gray, majestic shale bluffs surrounding the Grand Valley and Colorado River, Graystone is also close to wild horse country. These bluffs and mesas are still home to a large band of wild horses. Truly the wild, wild West and awesome Wine Country. Visit us and enjoy award-winning Port while taking in the incredible scenery surrounding the Grand Valley. We are located on Highway 6 on the Palisade side of the overpass to Clifton, the Tasting Room and Gift Shop are open daily. From I-70, take Exit 37 and turn left at the first intersection.